Wet Electrostatic Precipitator System – B&W MEGTEC Systems, Inc. Even those pollutants invisible to the naked eye can instigate serious environmental and health problems. For this reason, the EPA and other organizations encourage, and in some instances require, the use of pollution control equipment. In addition to the aforementioned benefits, electrostatic precipitators allow for easy collection of trapped dust and other particulates which may be reused in some instances leading to significant material savings. The success and efficiency of a working electrostatic precipitator rely heavily on maintenance and initial assembly. 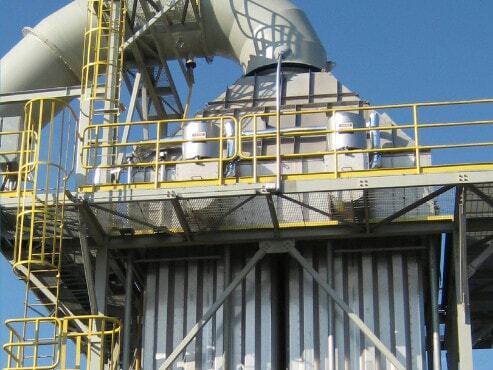 When selecting a precipitator the size of both the system and the particles to be collected should be carefully considered for optimal efficiency. The volume and velocity of the process gas should also be considered as should the available power supply. The electrical properties of the particulates will also affect the operational abilities of the system which relies on electric charges. 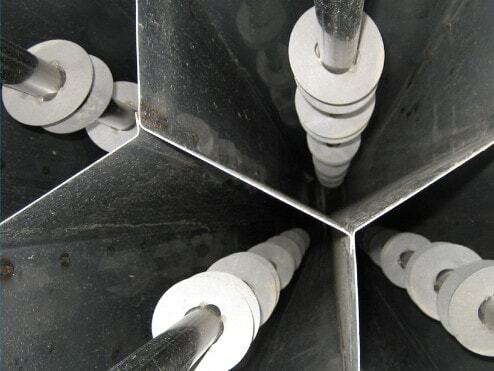 Wet Electrostatic Precipitator Collection Tubes – B&W MEGTEC Systems, Inc. The process an electrostatic precipitator employs to remove impurities from an air supply begins with what is known as ionization. This requires that the particles in the air supply be charged inductively with an electric field. The metal plates or tubes of the precipitator, known as collection plates or tubes, are at the same time charged with a negative voltage. The opposing charges attract, causing the particulates to adhere to the plates or tubes. Shaking or tapping the metal causes the dust and debris to fall into a bin for disposal or recycling. The method of removing the built up cake from the precipitator is the point that divides the systems into two broad categories. Though the basic function is similar, the two main categories of electrostatic precipitators are wet and dry. While dry machines remove the debris by rapping or shaking, wet systems use water or washing solutions to condition and rinse the particles from the collector. The type used depends largely on the operating space, resources, and the type of pollutants within in air stream. Because electrostatic precipitators are integral to numerous applications, it is important to consult with air pollution control equipment professionals prior to installation to ensure optimal performance. Electrostatic Precipitators Capable of removing dust, smoke, and other debris, electrostatic precipitators are used heavily in machining, textile, material handling, petroleum, chemical processing, electronics, and manufacturing industries which produce a range of dust, powder, and ash particulates.